If you’re attending Annual, I hope you can join us Monday, June 26, from 10:30-noon, in the Convention Center, room W184bc, for the Annual YALSA Membership Meeting and President’s Program! During the membership meeting, you’ll meet the current YALSA Board of Directors, as well as next year’s Board. We’ll recognize grant and award winners, as well as donors. I’ll give a brief update of board actions over the past year, and the incoming president-elect, Sandra Hughes-Hassell, will discuss her initiative for next year. Directly after the membership meeting, my presidential program task force chair, Valerie Davis, will lead a panel discussion on the theme of “Real Teens, Real Ready” about college/career readiness and adulting. She had great help finding these speakers–her task force members were Lisa Borten, Lisa Dettling, Jeremy Dunn, Katie Guzan, and Ellen Popit. The presentations are going to be awesome, so be prepared to find ideas that you can implement in your community! See you there! By Crystle Martin June 14, 2017 June 14, 2017 Conferences and Symposia, Governance, YALSA Info. Teen Read Week and Teen Tech Week have done a great job of getting the word out about two specific areas of teen services. But feedback from these two celebrations demonstrates that there are needs of the community that are not being met. One of these needs is that for nearly a decade members have been asking for more examples of low-cost and no-cost programming that works with these and other topics for teen services. Another is to create more awareness and advocacy opportunities for teen services. To meet these needs, this board doc offers a re-envisioning of TRW and TTW. It offers several options for thinking about the role TRW and TTW serve for YALSA members. One option is to combine TRW and TTW into one month long celebration of teen services, as a public awareness campaign to raise awareness about the value of teen services. The document outlines modeling it in part on the Lights on Afterschool celebration. It also emphasizes the importance of selecting a month that supports school and public libraries can celebrate. The month long celebration offers flexible participation, opportunities to try new things with the longer celebration time, and structure for celebrating in a way that best fits each libraries needs. It broadens the focus to cover all areas of teen services so that you can customize for your community and your teens. Along with this month long celebration, the document also focuses on implementing teen services and programs year-round teen programs and services. This will support library staff in all sizes of libraries to more easily support teens in the library, no matter what their staffing situation. For more information check out board document #32 located here! Have questions? Post your comments here! By Sarah Hill June 12, 2017 June 12, 2017 Conferences and Symposia, Governance, YALSA Info. YALSA’s Board has been hard at work since their last face-to-face meeting in Atlanta: continuing the work of the organizational plan, working on these projects, and planning for ALA Annual in Chicago! Now, the Annual Conference is fast approaching, and I’m looking forward to the Printz Ceremony on Friday night, honoring Sarah Dessen at the Edwards Award Brunch on Saturday morning, talking with members at our Membership Meeting and President’s Program and so much more! You can find the details about these events and many more YALSA activities on the YALSA wiki. 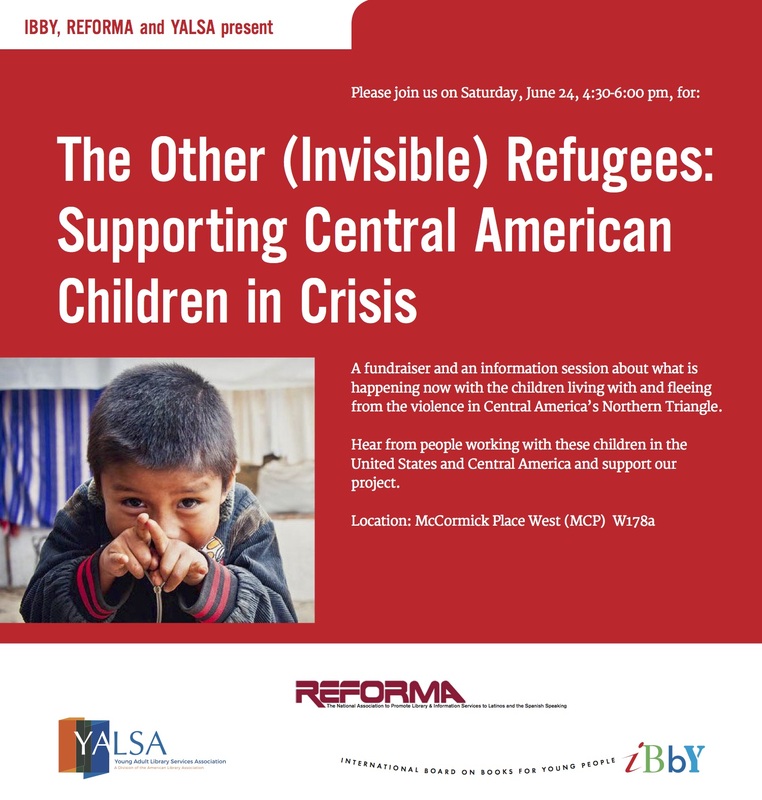 In lieu of a happy hour this conference, YALSA is co-sponsoring The Other (Invisible) Refugees – Supporting Central American Children in Crisis on Saturday, June 24, from 4:30-6:30 pm in McCormick Place, W178a. 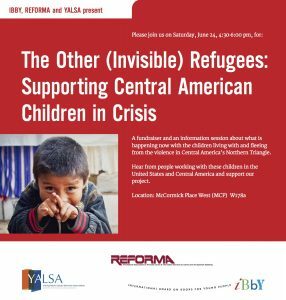 Join us for viewing a film from IBBY & REFORMA, and learn about the Children in Crisis Project, which seeks to raise awareness about these vulnerable youth and to provide resources to them. Donations are accepted at the door. The Board agenda is up online, and more documents will be posted soon. Members can check them out in advance and send comments or feedback to me at gsarahthelibrarian @gmail.com. If you’ll be in Chicago for the conference, the first ten minutes of each of our board meetings are open to public comment. If you have a question for a particular board member about a document they’ve written, you can reach out to them here. Be on the lookout for more blog posts in the two weeks from fellow Board members about the topics up for discussion and action. You can stay up to date with all the conversations by following Executive Director Beth Yoke (@yalsa_director), myself (@glibrarian), and/or other YALSA board members for live tweets of adopted actions and discussion highlights. In addition, there will be follow-up blog posts explaining decisions and board actions once the conference is done. Thanks for all that you do to make YALSA an awesome association, safe travels and hope to see you in Chicago! YALSA Partners for Teen Success at Annual! By Sarah Hill May 13, 2017 January 2, 2018 Community and Family Engagement, Conferences and Symposia, Continuous Learning, Partnerships, YALSA Info. This week an awesome team of YALSA members (Chair Dina Schuldner, Rachael Bohn, Derrick Burton, Markita Dawson, Millie Moffett, Bill Stea, and Adrienne Strock) published a new toolkit, Partnering to Increase Your Impact, and I wanted to make sure you knew about some great partnerships that YALSA has formed for Annual conference this year in Chicago! YALSA will partner with ALSC and AASL in the exhibit hall–visit us at #2731. And a shout out to these publishers for sponsoring the Best Fiction for Young Adults Teen Luncheon: Blink, Penguin Random House, Simon & Schuster, and Scholastic! Chicago is a beautiful place in the summertime. After a long, cold (although in this year’s case not so snowy) winter the city comes alive. The cultural, cuisine, and sports attractions are all wonderful ways to pass a summer day, but it would be a shame to visit this city without also taking advantage of what nature has to offer. Of course, the largest natural feature of the Chicagoland area is the Lake Michigan shoreline. On a warm day hitting the beach is a great option. 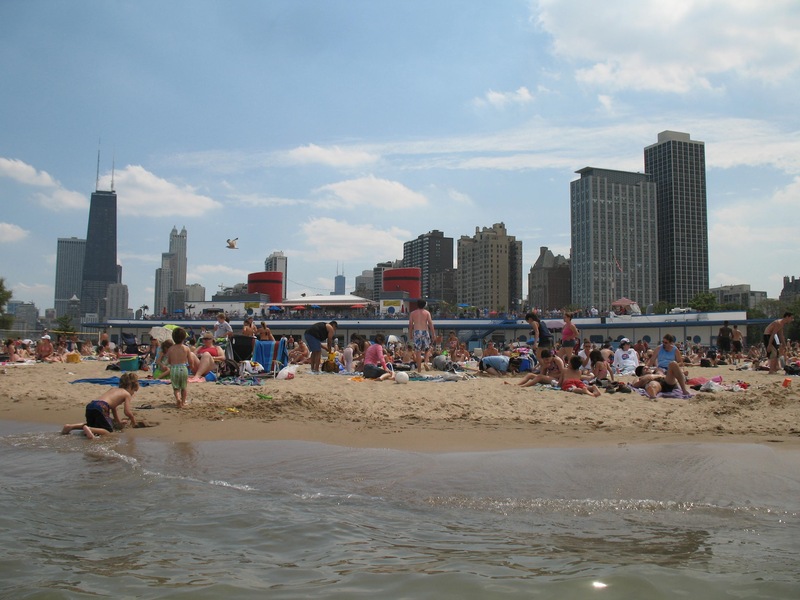 North Avenue Beach, right on Lake Shore Drive, is a popular destination. With amenities like jetski, bike, and kayak rentals, volleyball courts, lockers, as well as concessions, there is something for everyone. The beach’s most iconic feature is the beach house, a blue and white building, built to look like an ocean liner. Also on Lake Shore Drive, but a little closer to downtown is Oak Street Beach. With great views of the city skyline and all the amenities of concession and rental, it does tend to be a little more crowded on hot days and there is only street parking. Farther south is Montrose Beach, another wonderful place to while away a summer day. A unique feature of this beach is a bird sanctuary. Over 300 species have been sighted there with early morning being the best time for bird watching. But, anytime of day the meadow and dunes is a peaceful contrast to the manicured park and busy city that surrounds. For those who wish for a less sandy outdoor experience the Lincoln Park Conservatory is not to be missed. There are multiple display rooms within a Victorian style glass conservatory as well as beautiful surrounding gardens. 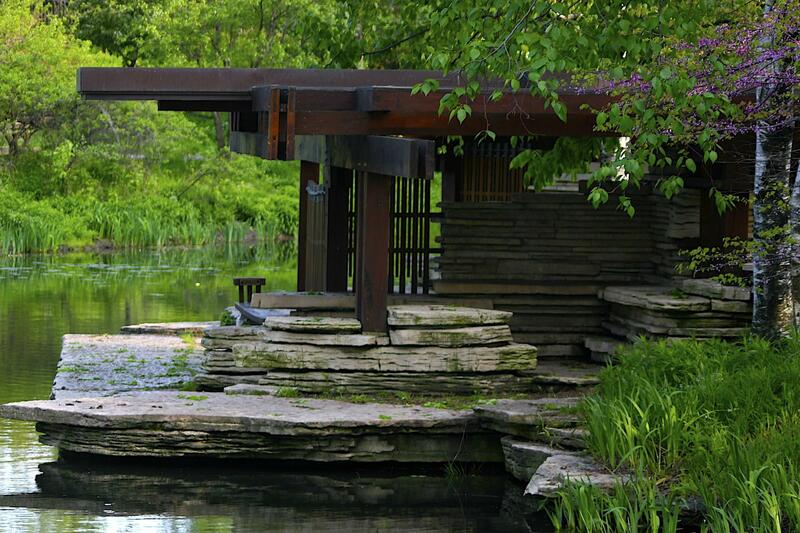 Part of this large complex, that is attached to the Lincoln Park Zoo, is a hidden lily pond. Called the Alfred Caldwell Lily Pool, there is a stone walkway with prairie-style architectural structures, a pavilion, council ring, lots of shady trees, it’s a sanctuary in the midst of a bustling city. The Chicago River is a natural feature nestled right in the middle of a cityscape that also offers opportunities to enjoy the outdoors. Take a boat architecture tour led by Chicago Architecture Foundation docents. For those who desire more adventure, book a tour (the Ghosts and Gangsters of Hustlertown is one example) with Wateriders, or simply rent a kayak and paddle at your own pace. However you choose to spend your time in Chicago, remember that even in the midst of the crowd and concrete of the city there are still opportunities to enjoy the outdoors and find some refuge in the more natural world. Bridget Farrell is a middle school librarian in a northern suburb of Chicago. There was a time when shopping wasn’t important to me. Arguably, these were simpler times. Certainly, these were more financially sound times. Then I found the most glorious pair of runners and the most wonderful, knitted necktie and something of a monster was created. Yes, it all occurred in Chicago, walking down the magnificent mile. This blogger is quite certain that you can find your favorite stores with ease (see: your smartphone) so I’m going to take a moment to focus on some locations that might be a bit lesser known to you. If you haven’t heard of the following, you should give them a shot to be sure! First, obviously I should tell you where I found that necktie and those shoes. After all, the last time Annual was in Chicago it was Khaled Hosseini who was heard (admittedly, only to me) exclaiming, “hey, nice tie!” upon my approach in his autograph line. Topshop is just the place to get quirky clothing at reasonable prices. 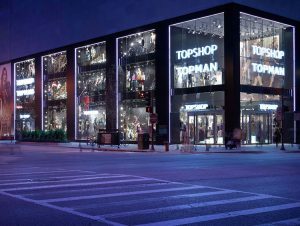 Located immediately across from Water Tower Place in the 800 block of Michigan Avenue, Topshop provides a floor for women and a floor for men (appropriately called Topman as if it were a different store altogether. It isn’t.). There’s almost always a sale and students get an extra 10-20% off depending on the day! With the flagship store in London, you’re sure to find trendy items that you must have because, let’s face it, the British are VERY posh. 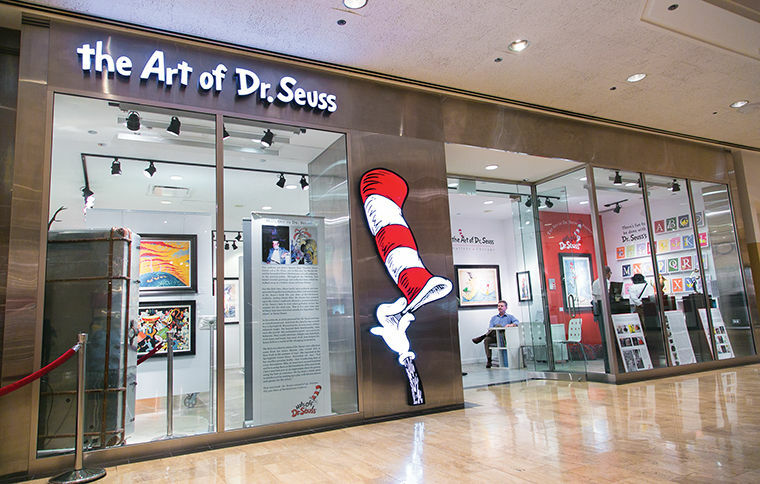 Speaking of Water Tower Place, if you haven’t been, you should cross the street and take in the stores there too, most notably The Art of Dr. Seuss. It’s amazing! Incidentally, if you start at these locations (take a bus, even), then you can hit everything else on your way back to McCormick Place. The Disney Store is tons of fun, of course, and, I feel you must stop in the Burberry store if only to say you’ve been. It’s incredible! OK so apparently I have a soft spot for British attire. 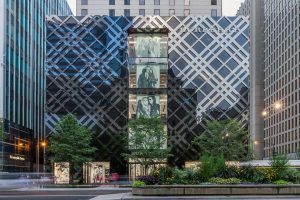 I would also like to mention the Nordstrom’s mall in the 500 block of Michigan. Not for Nordstrom’s, per se. Though it is a fine store, to be sure. But how often do you get to visit a Swatch store?! 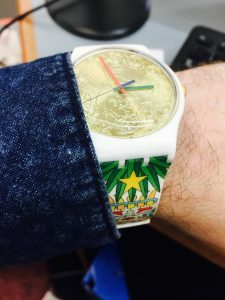 It’s a small location but Swatches are amazing and my collection seems to grow every time I make a visit, “just to look and see what’s new” (pictured is my fancy new Mika Swatch, for example). This mall also has a Kiehl’s store eager to provide all sorts of dermatological samples. They hooked me; their face wash is fantastic. Yes, I blame the Windy City for many of my addictions. It’s where I met Chuck Palahniuk and fell in love with reading. And it’s obviously the place to shop. Just, one of these addictions may be more career-oriented than the other. I don’t know, #librarianwardrobe, anyone? Joel Shoemaker was on the 2017 Stonewall Book Awards Committee for Youth and serves on the 2018 Stonewall Book Awards Committee for Adults. He is the Library Director for Oakwood Public Library District (Ill.) and has been a magician for more than twenty-five years. Tomorrow is the beginning of the Chinese Lunar New Year! It’s the Year of the Rooster and, to celebrate, as well as to get us thinking about Annual in Chicago, I thought it would be fun to make conference attendees aware of Chicago Chinatown. As I accidentally discovered this neighborhood myself last time Annual was held in Chicago, I know from experience it’s an easy walk from where the conference is held. And, look, I even went ahead and Googled it for you! It’s just over a mile away (okay, okay, 1.2-1.5 depending on who you ask). Besides the obvious – there is a TON of good food in Chinatown, there are also a surprising amount of cool shops to find any number of trinkets you are looking for. 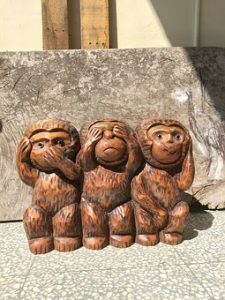 For example, I still have (and proudly display) the see no evil, hear no evil, speak no evil monkey sculpture I bought last time I was there. You should definitely stop by the Chiu Quon Bakery for a Bao filled with custard. Or any of the other baked buns they have available. They all looked fantastic. Incidentally it appears I’m not alone in this opinion, as Chiu Quon is listed among the best restaurants in Chinatown according to Thrillist. Check out their article here: https://www.thrillist.com/eat/chicago/chinatown/best-restaurants-chinese-food-chicago-chinatown. I like Chinatown as a recommended visit for Annual because it’s a nice, easy walk and can be as short or long a visit as you like. I went through as much of it as I wanted to in about two hours, including the walk. Of course, there’s also efficient and affordable public transportation should the weather not be kind, or should you already be exhausted from other conference efforts. You can certainly get some good food and cool, unique souvenirs to take back home. So, when you need a break from convention craziness, head to Chinatown! Be sure to check out chicagochinatown.org for all of the latest information and events that might be planned while you’re in town!